For this week’s competition we’ve teamed up with our good friends at Liquid Sports to give away a bigblue VTL 3500 Light as a prize! 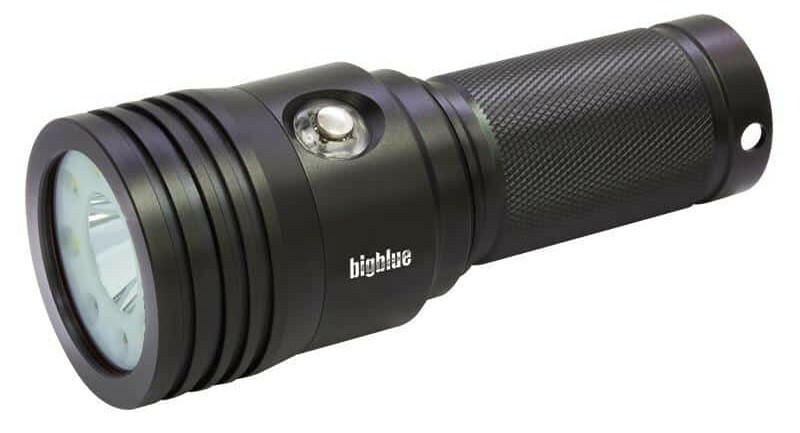 Bigblue VTL 3500 uses 7 x XML LED’s giving a 120° beam angle and a maximum output of 3500 lumens. The light has has four settings in wide angle that can be selected underwater to adjust the output (3500,1750,875 and 350 lumens) as well as a 100 lumen red light. The lights also offers a narrow beam (10°) 1000 lumens option. Burn times 1.5-15 hours, rated to 100m. Comes complete with goodmans handle, 1” ball fitting, re-chargeable battery and charger. In their latest blog for Scubaverse (which you can read here), Nick and Caroline Robertson-Brown discover that divers and underwater photographers are flocking to Bimini in The Bahamas to experience diving with what kind of shark?